The final trading day of the week (and of the month) is done and over with. So, how did the two Variants fare during the last hunt of the week (and month)? There was a choppy downtrend on November 30. 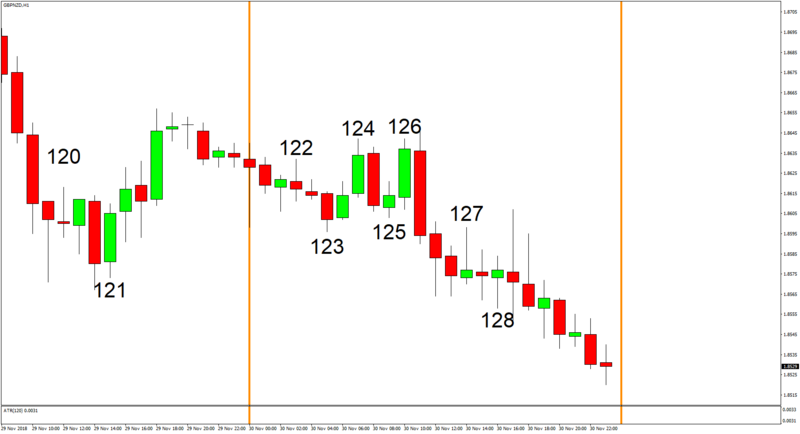 And while a bunch of winning trades were generated, there were also some losing trades. 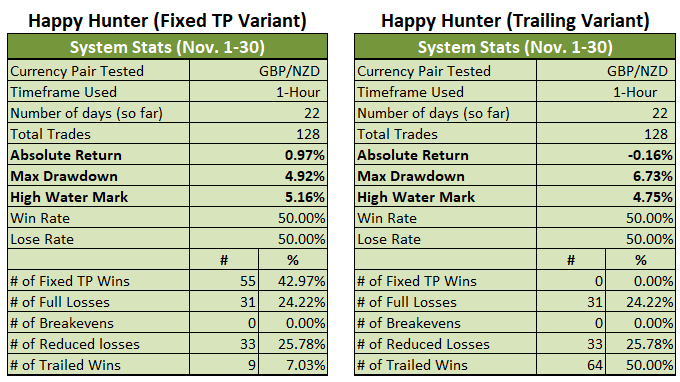 The Fixed TP Variant survived well and enough and was even able to eke out a very small gain and is now up by 0.97% for the month of November (+0.92% previous). 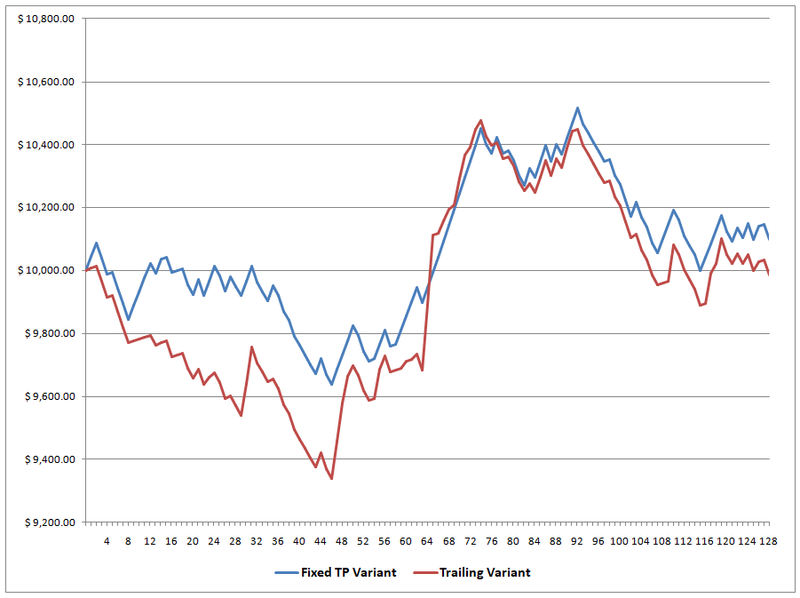 The Trailing Variant, meanwhile, was unable to come out ahead and is now down by 0.16% for the month (+0.21% previous). 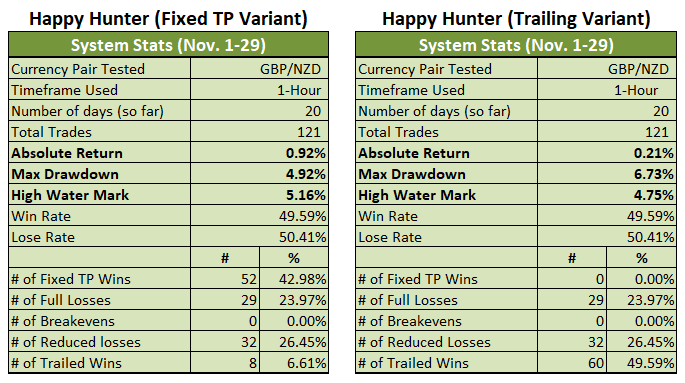 There’s still hope for the Trailing Variant, though, since all winning trades are still actually open. I suppose we’ll know come Monday.